As I am writing about my thesis lately, which is about premium brand experience, I've come to learn and appreciate the meaning of premium. So what is premium? It is not just about anything expensive. Actually, premium is about quality, consistency in delivering the brand promise and the fact that the experience is something rare, unique and exclusive to only a select few people. 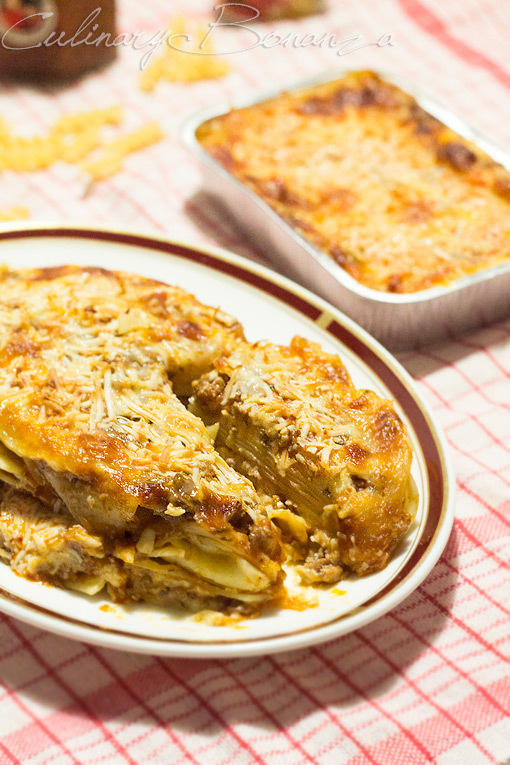 The same goes with food; a dish that costs a fortune is almost always premium, but premium can be enjoyed in something even as simple as lasagna. Not just any lasagna, though. By this, I mean only a few lasagna is worth an exclusive post on my blog. This lasagna, after all, can't be found off the shelves or at any restaurants and thus, makes it premium. 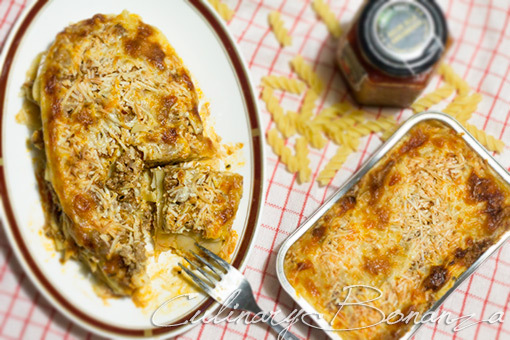 LasagnaLasagne is a feldgling home business which focuses on (as you may already guess) lasagna! Took the lady a few years to perfect the recipe and finally decided to go full on with the business side of her passion. I had the Original flavour, which is what's available currently and I heard other flavours are being tested at the moment. 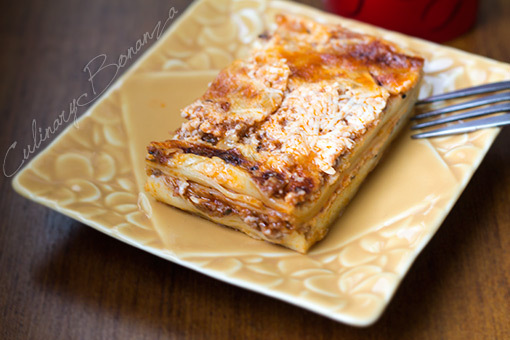 So what is different about Lasagnalasagne, you ask? For me, it's about the convenience of having this comfort food delivered to our doorstep (thank God someone invented delivery service!). 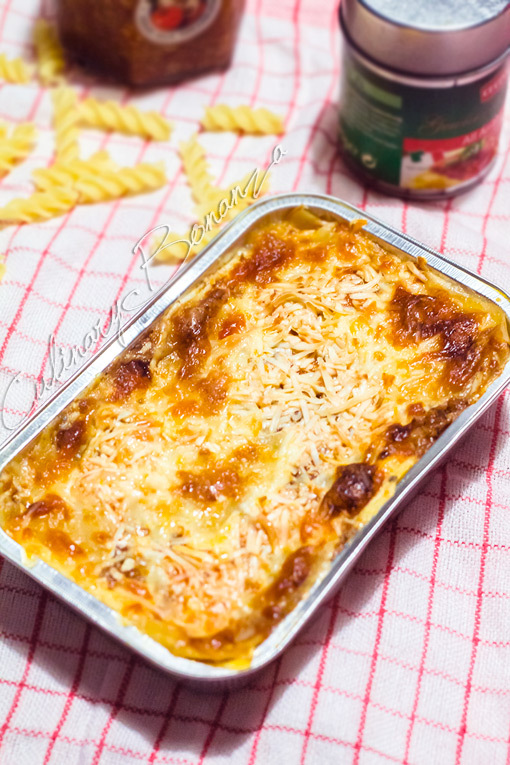 Now the taste, its layers of the sheet pasta is packed with delicious minced beef and cheese, the flavour tends to be on the sweet side, but it didn't dominate the cheesy taste. You know how other lasagnas are sometimes just too much with the tomato sauce or overly sweet bolognaise gravy. *) The small lasagna (the aluminium food tray on planes) is priced at IDR 45,000 and large (oval) is IDR 85,000.